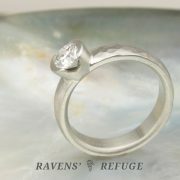 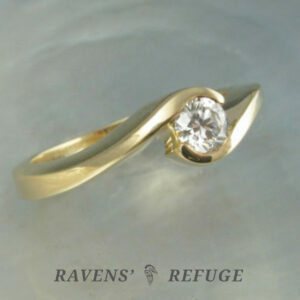 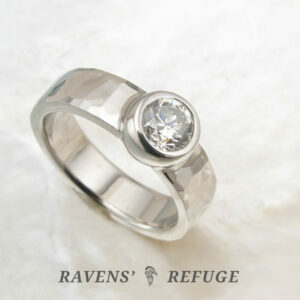 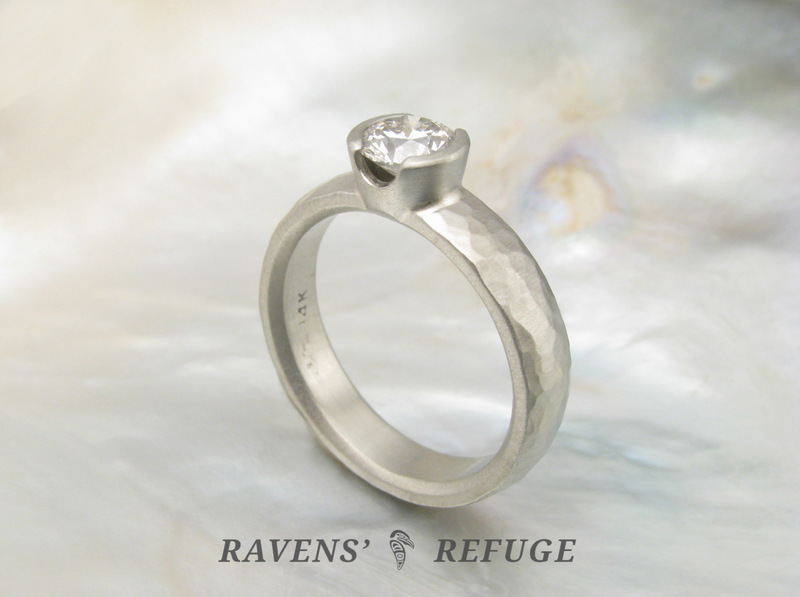 Pictured is a beautiful 3/4 carat diamond showcased in a low-profile semi-bezel setting that is artisan handmade. 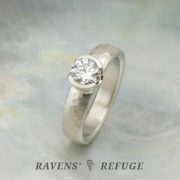 This ring will be made to order with a GIA certified SI/G-H diamond. 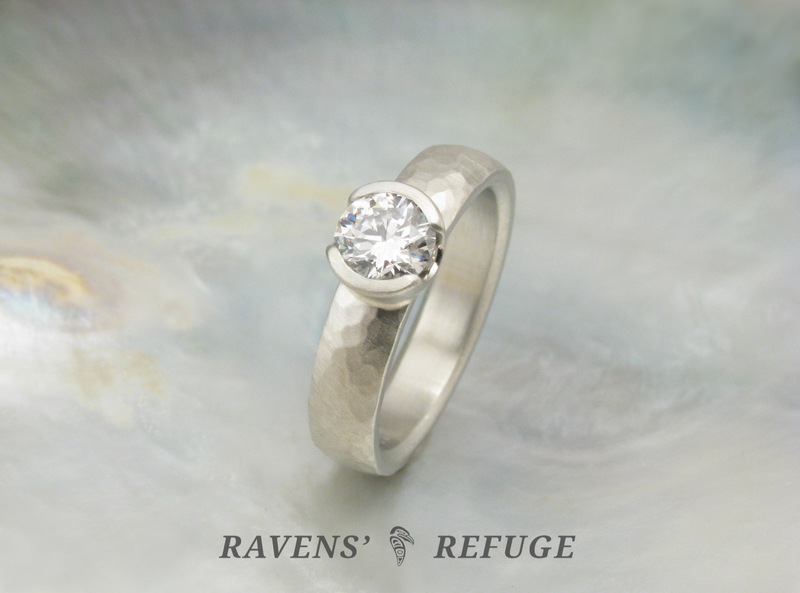 The shank of the ring is 5mm x 2mm in dimension & it is finished with a comfort fit profile. 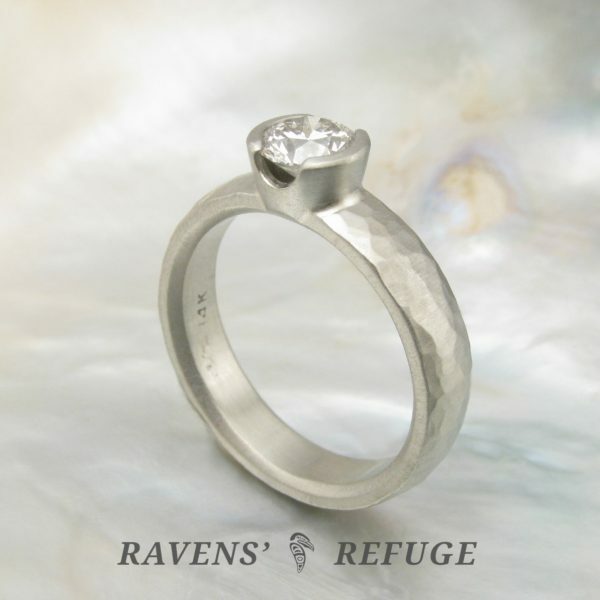 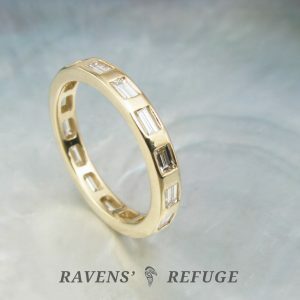 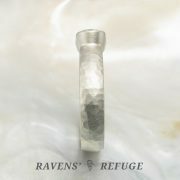 Both the bezel and the shank of this ring are entirely hand forged, which is a rarely done now that pre-fabricated bezels can be purchased and soldered onto bands that have been cast. 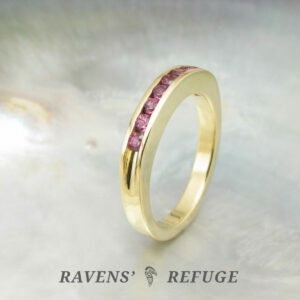 Dan has hand hammered the band in our “pebble” hammering style and has given the ring a satin finish. 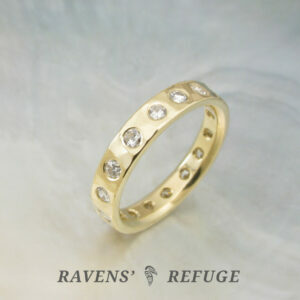 This ring is bold and beautiful — and yet simple and understated at the same time.